The Randolph County Training School (RCTS) had one woman principal, PlacidiaE. Thigpen. She received theB.S. degree from Hampton Institute in 1931 and the M.A. from the University of Iowa in 1945. She was at the School during the period 1920 to 1925, serving either as its principal or as a member of its instructionalstaff. 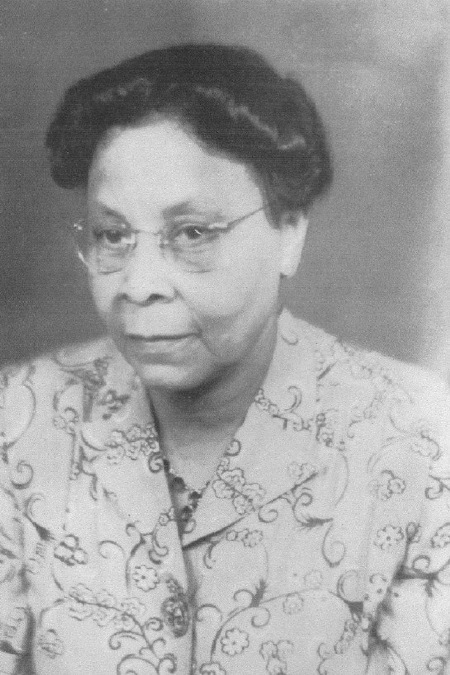 After serving as principal of RCTS, she taught at Selma University from 1926 to 1927, Alabama StateTeachers College from 1927 to 1929,and Hampton Institute High Schoolfrom 1930 to 1931. In 1930-31, while at Hampton, she was aRockefeller Fellow. In 1936, she was named Education and Supervisor of Education at Alabama A&M and was named Dean of Women at Alabama A&M College in 1944. She served in that capacity until 1951. She remained on the faculty of Alabama A&M until her death in November of 1954. She emerged as one of the College’s most respected and recognized staff members. She served as Dean of Women and had abuilding named in her honor in recognition of her distinguished service. TheCollege’s 1957 Yearbook, The Heritage,was dedicated to her where she was described as having “helped thousands of Normalites as a teacher and Dean of Women, inculcating in them high moral standards.” She was a “profound believer in tradition and symbolism … and was the epitome of dignity at all times.” Thigpen, like other RCTS principals, nurtured their instructional and administrative skills at RCTS before assuming other positions in school systems and universities in the state of Alabama. Thigpen’s association with Alabama A&M University and RCTS is an example of the rich nexus that existed between these two institutions. Excerpted from “Behind These Silent Walls”, a booklet, authoredby Alvin Thornton, PhD, Earnestine Thornton, Lonnie Thornton, and GeneThornton, all graduates of RCTS. Thanks to Mrs. Mildred Stiger, University Archivist, AlabamaA&M University Archives, located in Normal, AL, for providing biographicalinformation for Ms. Thigpen.